Change is a coming, but should you be worried? We’re talking about the Florida Civil Rights Act and HB 1255, a new bill has recently been introduced in the Florida House of Representatives by the Florida Commission on Human Relations, the entity charged with enforcing the Florida Civil Rights Act. The proposed legislation, HB 1255, makes a number of proposals including the implementation of a time limit on civil actions following alleged violations of the Florida Civil Rights Act, which would amend Fla. Stat. Section 760.11. This change in the law, along with proposed revisions to the Florida Public Whistleblower regulations, are important to understand for employers and employees alike in the state of Florida. While the proposed legislation has received very little news coverage, we examine some of the specific provisions of the bill and discuss their potential impact on employment law matters in the state. To help clarify some of that language, HB 1255 would codify the four-year statute of limitations for a lawsuit alleging a violation of the Florida Civil Rights Act. What impact is this likely to have on potential plaintiffs in Florida? Generally speaking, if the bill passes, plaintiffs will be barred from filing a claim if they fail to file within four years from the date of the alleged violation of the Florida Civil Rights Act. However, in practical terms, this statute of limitations already exists to some extent at common law. To be sure, Florida courts already have suggested that a four-year statute of limitations exists for such actions, and as such, the passage of HB 1255 would help to make that statute of limitations clearer. What are some of the other significant revisions that would become law is HB 1255 passes? Another significant point concerns “investigative procedures in response to prohibited personnel actions” and the Florida Whistleblower’s Act (Fla. Stat. 112.3187). In short, the bill would amend the language of the law to extend the time for an officer from the Florida Commission on Human Relations or the Inspector General to respond to a complaint. More specifically, HB 1255 would extend that time by two days: from three working days from the date of receiving the complaint (currently in the statute) to five working days. In addition, the proposed legislation provides quorum requirements for the Florida Commission on Human Relations and any of its panels, revises the number of persons the Commission can recommend for the Florida Civil Rights Hall of Fame, and it revises the length of time for the Commission or the Florida Lawyer general to investigate discrimination allegations in applications for certain club memberships. The bill was filed in the House on March 5, 2017, and it was introduced two days later. It is currently in Oversight, Transparency and Administration Subcommittee. You can track the course of the bill here. 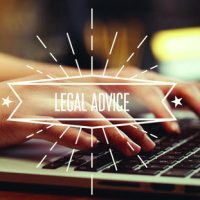 If you have questions about how the proposed legislation may impact your employment discrimination case, or if you believe you have grounds for filing an employment discrimination lawsuit, you should discuss your case with a Florida labor lawyer as soon as possible. Contact Scott • Wagner and Associates today.